Apps die — often. It's all part of the technological circle of life where alpha predators in multi-billion dollar dens feast on more vulnerable, less cash-infused prey. And one company that has always had an insatiable T. Rex-level hunger is Apple. In some ways, it's just good business. Buy an app that's doing something well, fuse it together with a hugely popular mobile or desktop OS and spit out the bones. But often, those apps are the lucky ones. Other apps just die, clearing the way for a pre-loaded app that fills the same need. Some deaths are quick, and some are slow. Some apps simply fade into obscurity. So, we decided to memorialise all the dead (or dying) apps dealt untimely blows by Apple's hand. Here's a look at all the apps Apple's slain throughout the years, and the unlucky ones still on its kill list. F.lux is the newest member to join this collection of forlorn apps. Started in 2009, F.lux is the best way to keep your laptop from wreaking havoc on your sleep schedule. The app intelligently controls your laptop display, reducing the emission of blue light which research suggests is one reason for sleepless nights. However, its mobile app wasn't so lucky. 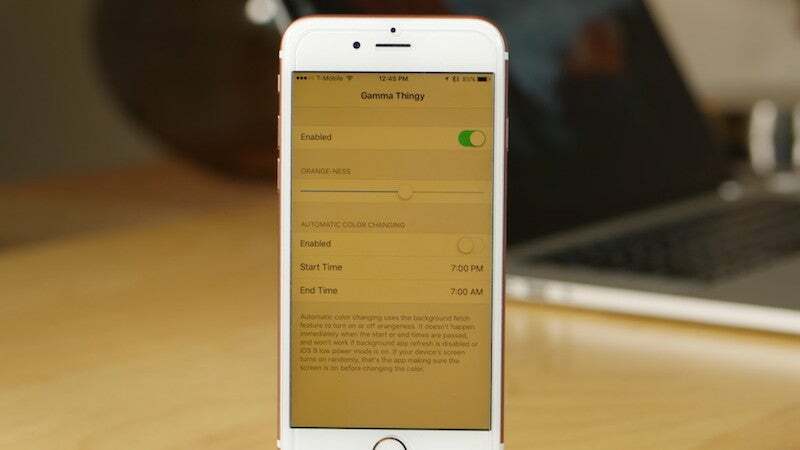 Because of iOS's closed ecosystem, F.lux built an app outside of the App Store that any technologically savvy person could sideload onto their iPhone. Apple threw a fit, and the app was shut down only to be replaced months later by Apple's "Night Shift", with all the same blue light-limiting tech included. The worst part is this earnest letter by F.lux developers acknowledging — with a smile — that they just got boned. Skitch, the once-popular online annotation tool snatched up by Evernote back in 2011, had a good thing going. It was one of the first onscreen markup tools, and it was on every imaginable platform — even Windows Phone. 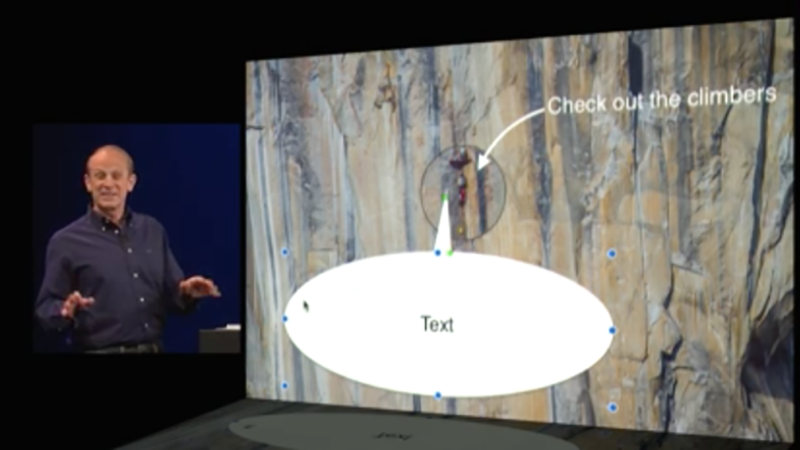 Although its own bungled updates certainly didn't help matters, Apple's introduction of "Markup" in Yosemite was a death knell. As recent as late 2015, Evernote's pulled the app from all platforms except Mac OS. Skitch is a fighter, but the app will most likely be left on life support. Boxcar used to be called a "vital app" for iPhone, an app that smartly served up notifications, which, let's be honest, iOS should have been doing in the first place. Apple finally got around to fixing that oversight with iOS 5. After other subsequent iOS updates, Apple slowly chipped away at Boxcar's usefulness. In 2012, things began looking grim, and we haven't really heard much from Boxcar since. In 2010, the joint venture among US mobile carriers T-Mobile, AT&T and Verizon called ISIS Mobile Payments was already playing a game of catchup since efforts in South Korea and Japan had a sizable head start. Five years later, it's been completely dismantled (literally) by the competition. 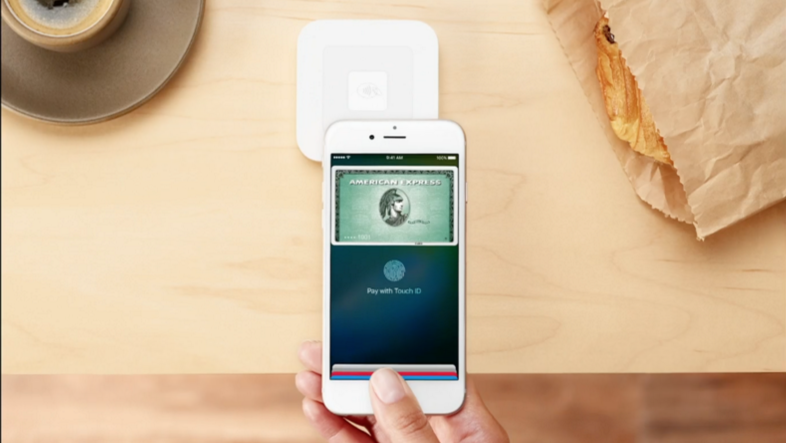 Although Apple was only one of the knives in this "Et tu, Brute" assassination, the introduction of Apple Pay certainly didn't help matters. Google dismantled Softcard for parts in February 2015. In the grand scheme of things, HopStop is really one of the lucky ones. Apple kept HopStop alive more than two years after its purchase, but the app officially shuttered this past September. Before Google Maps added built-in transit directions, HopStop was a MUST for any savvy, city-living iPhone user. Its death is made worse by the fact that its soul is held hostage inside Apple Maps, which is still inferior compared to Google's own digital cartography. 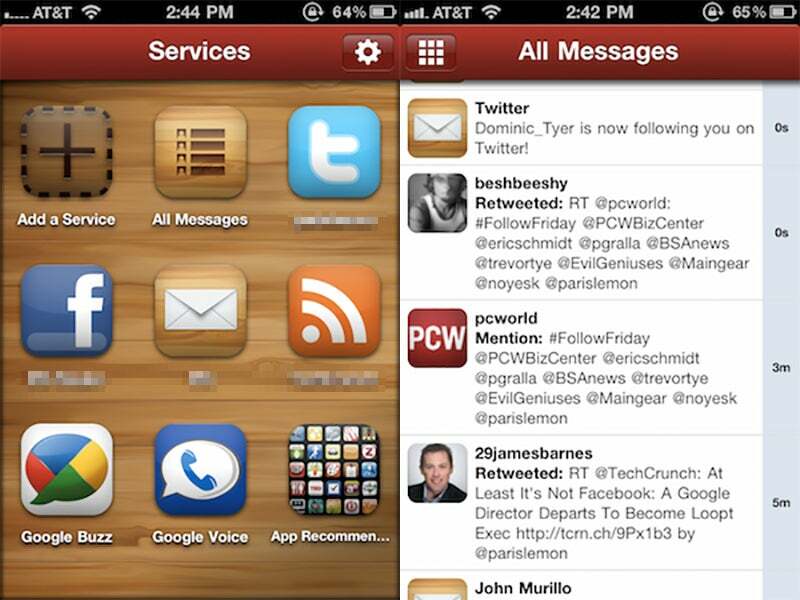 All those torch apps? 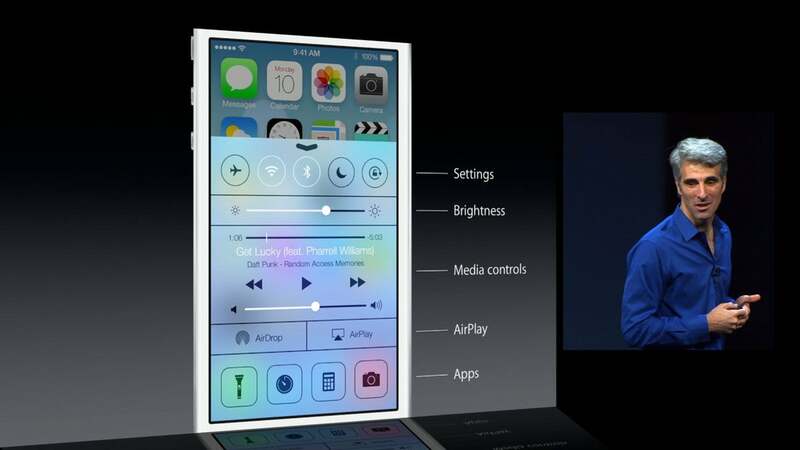 Meet iOS 7's Control Center. Bump had a rough 2013. 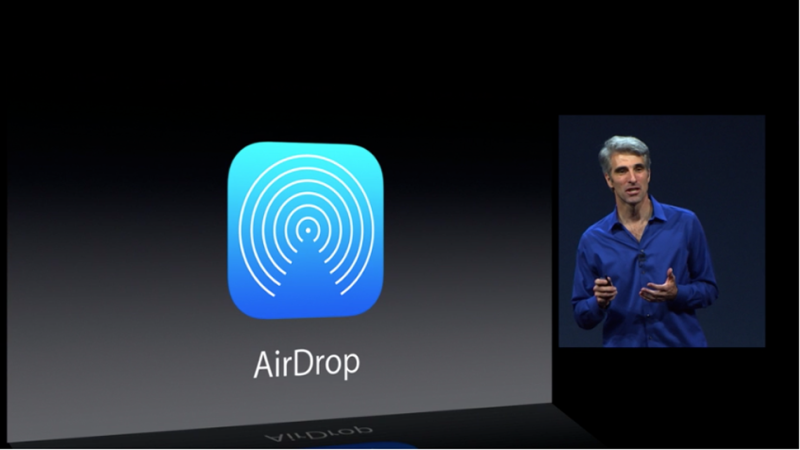 In June, Apple introduced AirDrop for iOS, which mimicked Bump's easy way of file-sharing but without the needless Bump action. 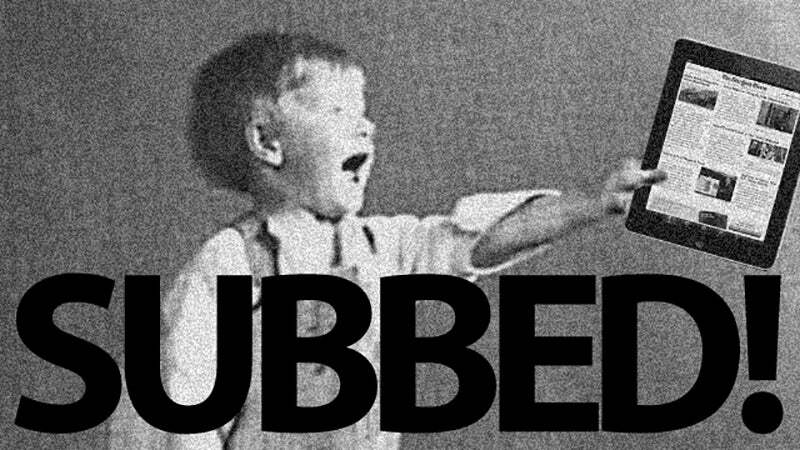 Two days before iOS 7's release, Google buys Bump, most likely to shore up its competitor Android Beam. Three months later Google kills Bump. Auxo represents a family of apps too numerous to count in just one blog post, so I'll let the tale of Auxo speak for them all. Jailbreaking an iPhone used to be a great way of making your iPhone do exactly what you wanted it to. It bypassed Apple's sometimes creatively choking restrictions and became its own mobile frontier. But because of its legally dubious nature, that frontier also became a killing field for Apple's iOS. 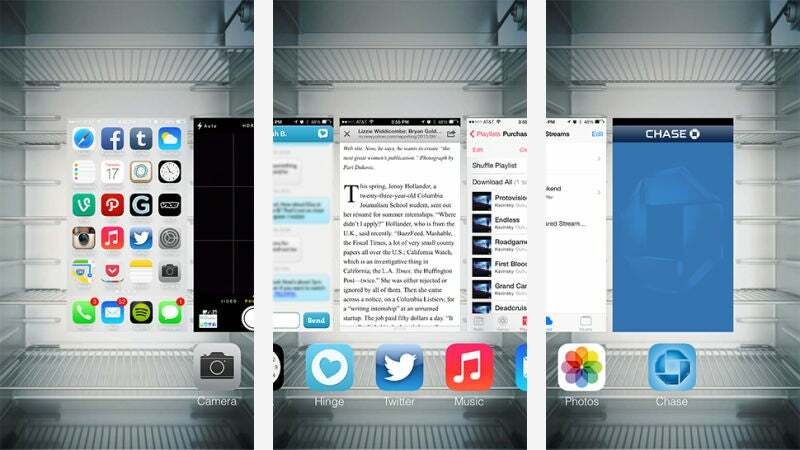 The best features like Auxo for better multitasking, but other apps like Clockify, DeepEnd, and perhaps the most famous ripoff accusation, Wi-Fi Sync, met an untimely demise after Apple's big OS refresh with iOS 7 in 2013. But it remains true that the jailbroken iPhone of today is the official iOS of tomorrow. iFlow Reader was one victim of Apple's big policy shift in 2011, requiring apps selling books or other media to pony up 30 per cent of its total earnings to Apple if the subscription came from an iOS app. As iFlow Reader's founder stated after the updated policy, the company didn't make a profit above 30 per cent, meaning they were actually losing money per transaction. The crux of the matter is that Apple is now requiring us, as well as all other ebook sellers, to give them 30% of the selling price of any ebook that we sell from our iOS app. Unfortunately, because of the "agency model" that has been adopted by the largest publishers, our gross margin on ebooks after paying the wholesaler is less than 30%, which means that we would have to take a loss on all ebooks sold. This is not a sustainable business model. Swell was a damn good podcast app, hailed as the "Pandora for Talk Radio," that Apple bought in 2014. Two days later it was gone. 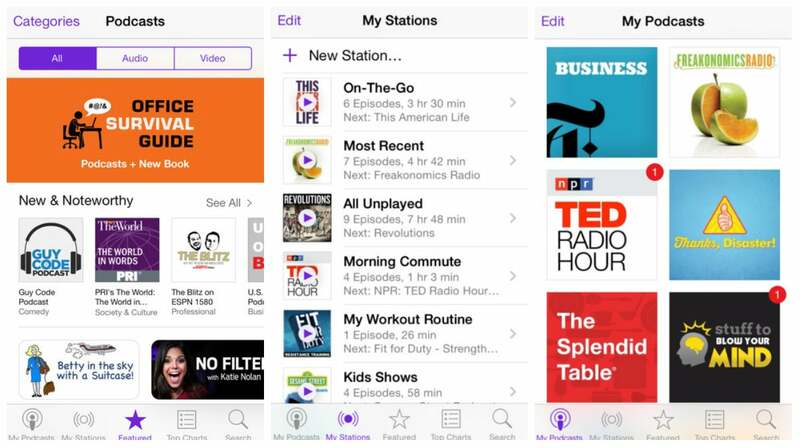 Dedicated fans of the app can take some solace that it most likely lives on in Apple's iTunes Radio and Podcasts services. Actually, nevermind. Those apps are terrible. 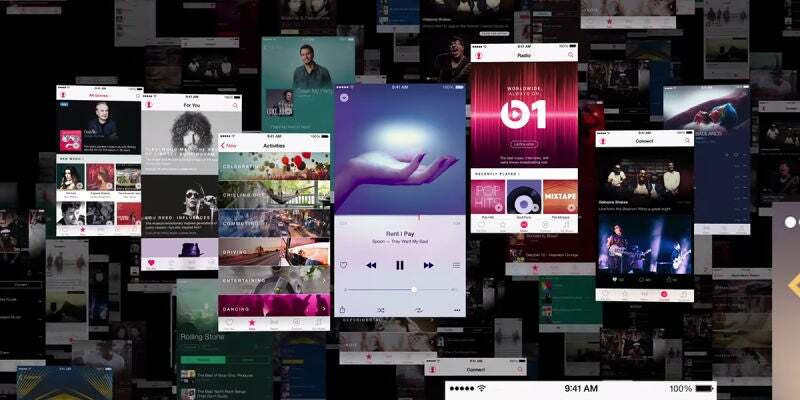 Beats Music is more like the story of a Phoenix. At its best, the app was a passable music service but definitely not a considerable threat against streaming king, Spotify. With the big purchase of Beats in 2014 and the subsequent release of Apple Music, it was fashioned into something better. 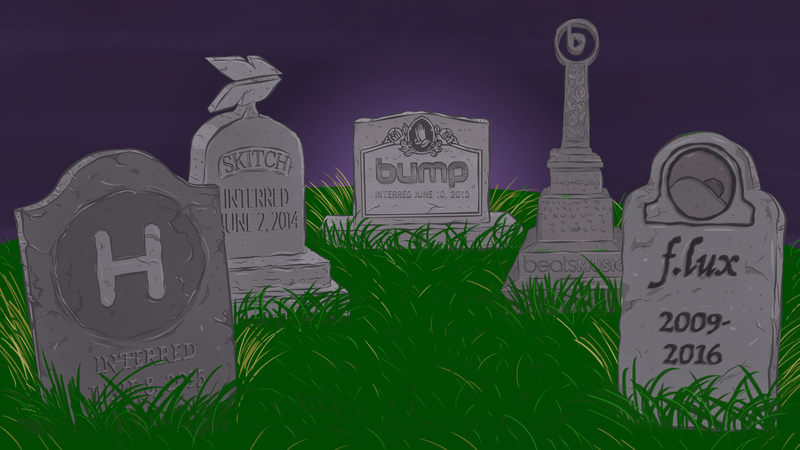 Although few will lament the old Beats platform, it was the beginning of the music streaming culling that's led to Rdio's demise as well. 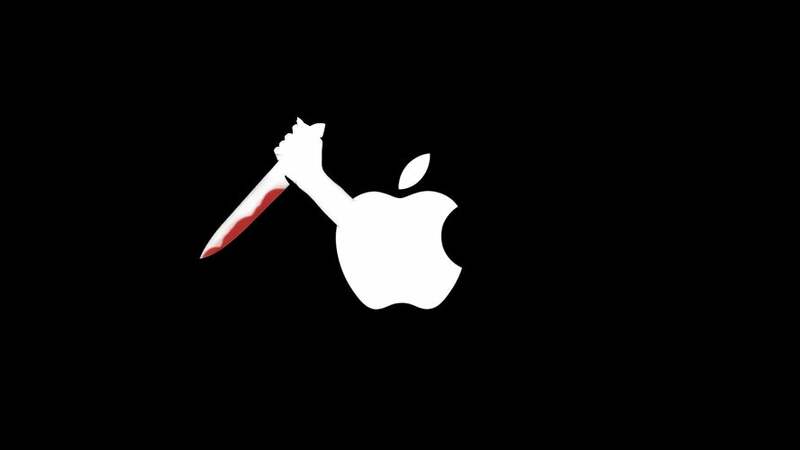 What's left on Apple's kill list? With Beats and Rdio out of the way, Spotify is really Apple's only legitimate contender when it comes to music streaming supremacy (unless you consider Tidal LOL). Spotify currently has a massive lead on Apple Music in terms of paid subscribers (about double the amount, actually) to be worrying too much. It's still by far the best streaming option out there. Apple's been trying to kill Instapaper since adding Reading Lists to Safari. At first, it didn't stick since you had to be online to read your favourite lists. So then they added offline reading, and Instapaper proved resilient. Once Apple added a new Sidebar for Mac, it tried once again to kill the popular reader. Instapaper continues to be the unkillable cockroach. Dropbox is going through a bit of a crisis after killing off Mailbox and Carousel in preparation for its big makeover. Apple's iCloud, along with Google Drive and Microsoft's OneDrive, has made a big move into Dropbox's sphere of influence, and the previous cloud computing front runner is beginning to feel the competition. Dropbox may surprise with its ambitious relaunch, but facing down the world's three largest tech companies isn't really the position you want to be in. Password managers, despite a few embarrassing security lapses, are still hanging around even though Apple's introduced its own solution to the multiple password conundrum with iCloud Keychain as well as fingerprint biometrics. However, people still seem to favour Lastpass or 1Password for the time being. The "video phone" is the most antiquated "the future is now" litmus test, and Skype actually brought the idea into widespread fruition. Then Apple created FaceTime. Skype still has its inherent advantages, mainly that you can call people who don't have an iPhone. It also doesn't have the wonderfully impressive and growing translation capability. Microsoft's ability to outpace the competition is one reason why Skype isn't going anywhere soon. WhatsApp is doing juuuuuust fine. But with iOS 8, Apple did damn near everything it could to take all of the app's best ideas and bake it into iMessages, like inline images, voice messages, self-destruct messages and general UI design. At the time, the CEO of WhatsApp was none too pleased. However, WhatsApp's also been accused of copying quite a bit from BBM. Ah, so it goes. iOS 9 provided a giant upgrade to its Notes app, which was a not-so-subtle headshot at Evernote and other simplistic note-taking apps. Evernote has its dedicated fanbase, but the app has definitely seen better days. Apple probably wouldn't mind toppling that note-taking kingdom if it could. When Apple announced News for iOS 9, my first thought was "Flipboard is going to be pissed". On October 6, The Wall Street Journal reported that Flipboard was still growing despite the launch of Apple's News app. Three weeks later, WSJ reported a less optimistic story, a floundering news reader suffering from brain drain and worried investors. Flipboard continues its struggle against Apple, and still remains a damn good news reader. But after reading through Apple's voracious appetite for software, you can't help but think that Flipboard is just another dead app walking. They didn't kill them off, they just innovated them.